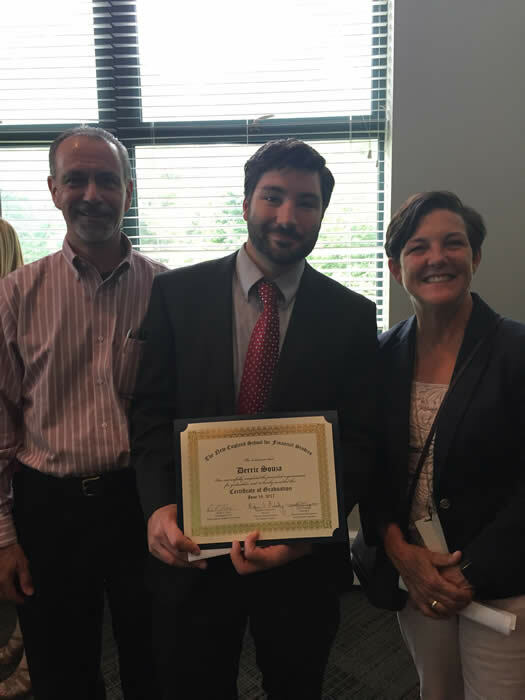 Reading, MA – Reading Cooperative Bank (RCB) is proud to announce that Derric Souza has completed his coursework and is a 2017 graduate of the esteemed New England School for Financial Studies. Derric is a Staff Accountant at RCB in Reading. He enrolled in the school to enhance his financial acumen and acquire the necessary tools to better navigate today’s changing economic climate. The graduation ceremony took place on June 16th at Babson College’s Center for Executive Education in Wellesley, MA.